Traditional carpet bedding on a flat surface has fascinated people for more than a century. 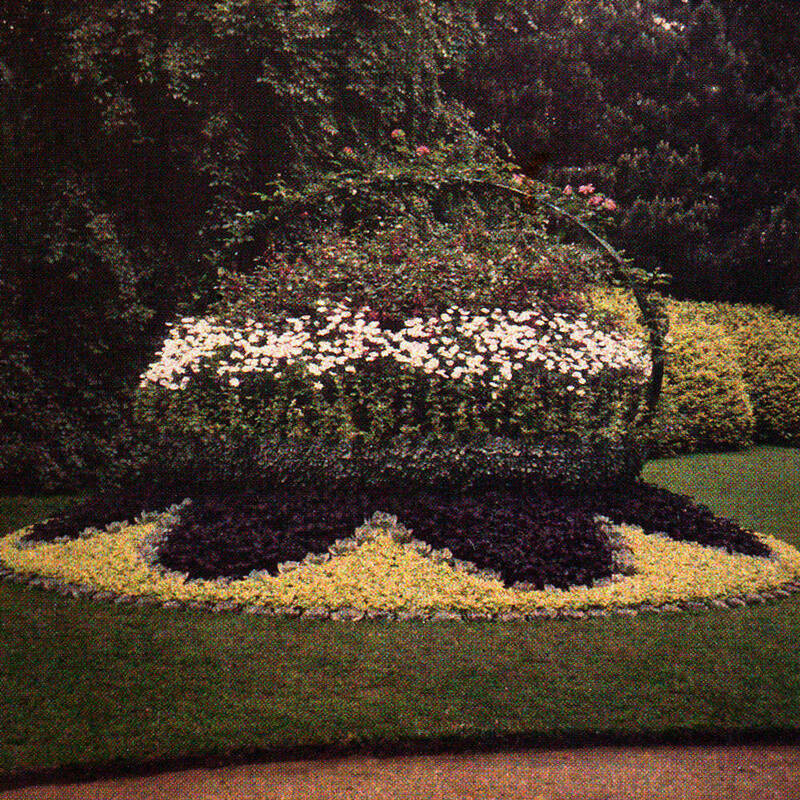 Here at Waddesdon, however, the Rothschilds pioneered the idea of three-dimensional bedding, or sculpture using plants. It was Miss Alice de Rothschild who first introduced a three-dimensional basket around 1900 at her house on the estate at Eythrope. 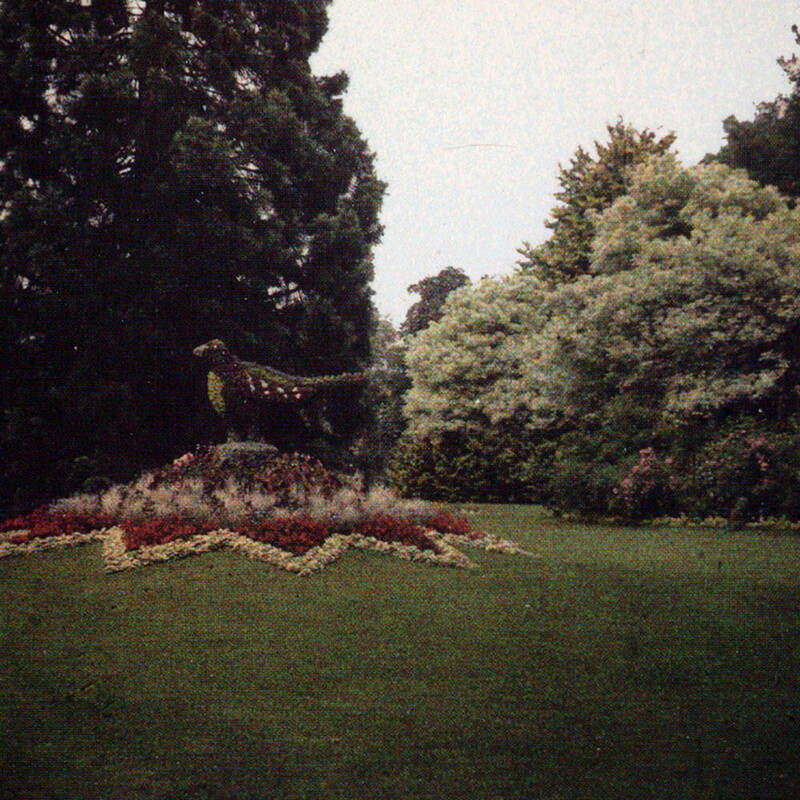 The form became popular, and sculptural bedding was quickly adopted in parks and public gardens. 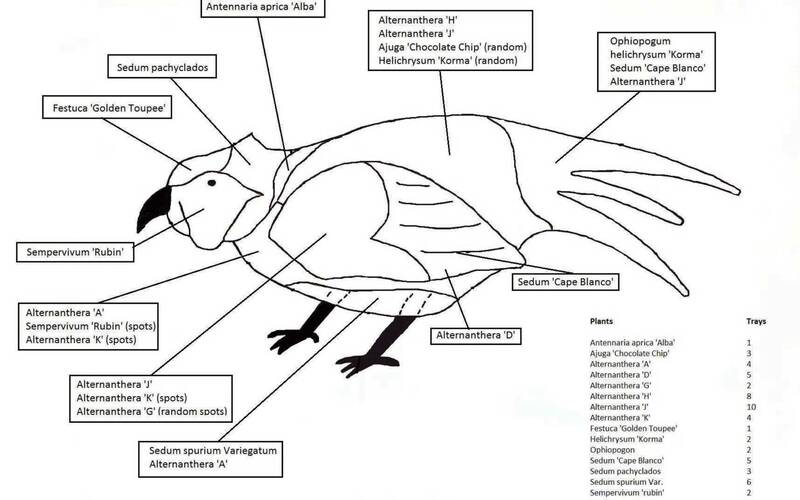 Today’s birds are a modern version of this Victorian innovation. 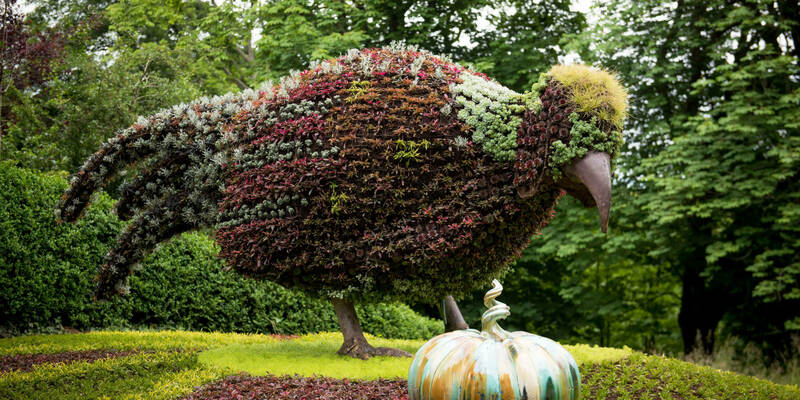 This year, one of the birds is joined by a magnificent ‘Big Mother Pumpkin’ made by potter Kate Malone in homage to the vegetables grown in the kitchen gardens. It was part of last year’s exhibition Kate Malone: Inspired by Waddesdon. around 2,500 plants. The choice of plant is important, since many will not thrive when grown on an angle or upside-down. The sculptures are in place until October when they will be removed for maintenance and prepared for re-planting over the winter.